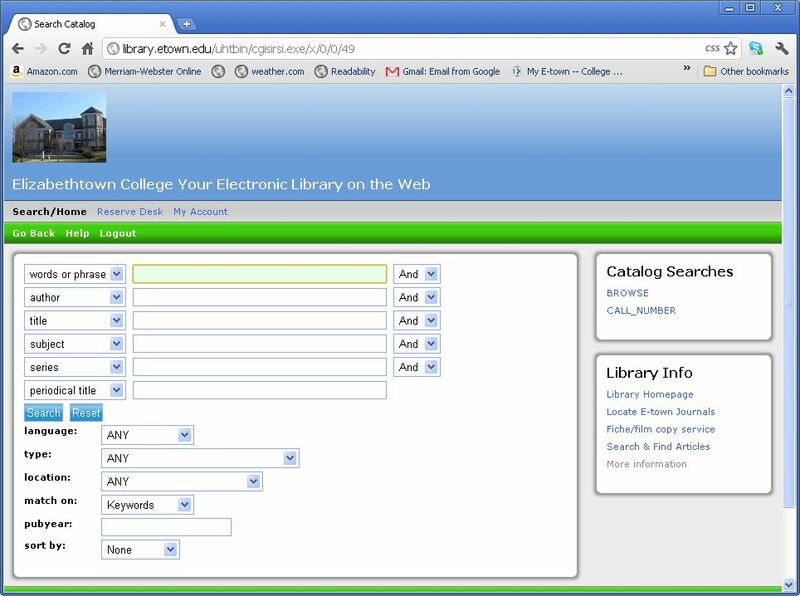 Get some tips for how to use the catalog. E-town pays for access to these 5,000+ current scholarly and popular titles, published from 2000 to the present. E-books, or electronic books, are versions of a book you can read online. Some of these books can be printed or downloaded, often a limited number of pages at a time. Links to 25,000 free e-books on the Web, courtesy of the University of Pennsylvania. The original e-book site containing over 17,000 titles, most published 75 or more years ago. HathiTrust is a large-scale collaborative repository of digital content from research libraries. Archive of digital texts, audio, moving images, and webpages.